From time to time here at Pumpkin Fine Cars & Exotics we end up with quite a few of the same type of cars. This is not because we seek out certain models, but because we buy cars on an individual basis. If we come across multiple cars of the same model, that are in "Pumpkin Car" condition, we buy them. It's as simple as that! Right now in stock we have five, count them, five Mercedes Benz E320's. They range in age from 1999 to 2003 and in price from $9,495 to $18,995. Here is the rundown. First we present a car that is the epitome of a "Pumpkin Car" and a car we are confident in "bragging" that you will not find anywhere else. We have written about it before and it is a 1999 E320 with ONLY 25K ORIGINAL MILES. This is a ONE-OWNER car and is PRISTINE in every sense of the word. It is a classic Mercedes Silver on Gray LEATHER and has all of the LUXURY OPTIONS and features that are synonomous with Mercedes Benz. For instance it has power seats with memory positions, alloy wheels, power moon roof and more. This car can be yours today for $13,995!! Truley a RARE FIND that only Franck Freon can secure. We also just brought into inventory another 1999 E320, this is a SHARP BLACK BENZ, in GREAT CONDITION. It has 104k miles and is at the LOW PRICE OF $9,945. That's right, own a Mercedes E-Class for LESS THAN $10K! It has power seats with memory positions, a 6 Disc CD CHANGER, Moon Roof, and more! It has passed through our extremely detailed PUMPKIN CERTIFICATION process and as with all Pumpkin Cars has a Clean and CLEAR TITLE HISTORY. The next three cars are all from the 2003 model year and are FANTASTIC in both VALUE & STYLE. Why spend upwards of $50k for a brand new one when you can get a 2003 E320 with ONLY 39k MILES for $18,995? This is a SLICK & STYLISH Midnight Blue with a light Gray LEATHER Interior. TRUE LUXURY with Xenon Headlights, Parktronic Sensor, Power/HEATED SEATS with Memory positions, CD player and Auto dim rear view mirror. This car is HOT and you should check it out today! If Blue is not your color, we also have a 2003 E320 that is a VERY SHARP Iridium Metallic Silver on BLACK LEATHER. Quite the HEAD TURNER. This car is also priced at $18,995 and has 52k miles, again so low it's LIKE BRAND NEW. This car is a NEWER BODY STYLE as well and also comes with the Xenon headlights, power/heated seats, CD player, Moon Roof and is CLEAN & PRISTINE!! This is one you really have to see for yourself to believe it! Finally if you want a newer body style and model that is EXTREMELY AFFORDABLE, take a look at this 2003 E320. It is a VERY COOL BLACK on TAN LEATHER, has 85k miles and is PRICED JUST RIGHT at $14,995! Again, features and options that make Mercedes the KING OF CARS with Power/HEATED SEATS and Memory positions, Moon Roof, Alloy wheels and a CD player. This is a VALUE AND A HALF and also a car that needs to be seen and test driven to really understand what a GREAT CAR at a GREAT PRICE is. For more information on these cars and more, visit http://www.pumpkincars.com/ and click on the 'Inventory' tab for the most up-to-date listing of our pre-owned vehicles currently in-stock. Contact us anytime at (609)646-7676 or by email at [email protected]. Of course we encourage you to stop by our showroom, located in Egg Harbor Twp, and take one or a few of our pristine pre-owned vehicles for a FREE, NO-HASSLE TEST DRIVE! We look forward to meeting you real soon! Pumpkin Fine Cars and Exotics is currently dedicating almost one third of our entire inventory to cars that cost less than ten thousand dollars. We understand that in these difficult economic times not everyone can afford the car of their dreams, but almost everyone needs a car that is solid, reliable and in great shape. That is where we come in! We do not lower our strict standards on buying cars for our inventory whether the car is priced at $3,995 or $59,995. All of our cars still are test driven personally by Franck Freon and put through our extremely detailed Pumpkin Certification Program. We just happen to find and buy the rare cars that we can sell for less than $10k that are still in great condition and we feel much better than what you would find on those other guy's lots for under $10k. Here is a sample of what we are currently offering. First, let's start at the beginning. We have a great 2004 Nissan Sentra 1.8s that is One Owner and as clean and reliable as they get. The mileage is at 141k, but the previous owner took great car of his car and serviced it regularly so that it could run for another 100k. It is a 5 speed manual, with a CD player, it has a clean and clear title history and is fully serviced ready to roll! This car can be yours, or is great for a first time buyer, at the very reasonable price of $3,995!! Next we present a very reliable 1995 Lexus ES300 for $4,495. This is also a One Owner car and get this...only 88k miles! It is very clean and sporty with a CD changer, after market alarm system and plenty of power options. Again this car has passed through our Pumpkin Certification process, and Franck Freon has driven it himself and given the OK to sell this bad boy. Just added to inventory yesterday afternoon is a 2001 Nissan Maxima SE. This car is extremely low mileage at only 40k! That is not the only thing that is low on this car, the price is too at $9,495. This car had One Owner, has Bose Premium Sound, Power Seats and is a sharp Champagne color with a Tan Leather Interior. This is one you have to see and drive in person...it is that good! Now, other than those two cars previously presented the rest of the cars we currently have under $10k are all either Mercedes Benz or BMW...not too many dealerships in the area can say that! We have a '93 Mercedes Benz 300 SE, classy and luxurious with 113k miles and priced right at $6,995. This car retailed for originally for $71k and still runs like a dream. We also have two Mercedes Benz C class. One is a 1999 C230 Kompressor that is Black with a Tan Leather interior and 70k miles, it is a One Owner car and is comfortable and quick. We are offering this car for sale at $8,995. The other C class is a 2000 C230 Kompressor Sport with 73k miles, Sport Steering and Wheels, full power options and as always a clean and clear title history. Priced at $9,995 it won't last long. If you fancy yourself more of a BMW person, this next car is for you! We have a 1999 BMW 323ic. It's the perfect time of year for a convertible and this baby is priced at $9,995. Classic BMW Silver on Black leather, this car proves you can have something fun and stylish without breaking the bank! It has a black leather soft top, Heated seats and a 6 disc CD Changer...Wow! We hope that by reading this you can see that just because a car is inexpensive, does not mean that it is low quality or "cheap". We put just as much effort into preparing these cars as we do for our more expensive and rare cars that we are best known for. Franck Freon and his friendly, knowledgeable staff are ready to put you out in a free, no hassle test drive. Just stop in at our unique indoor showroom to pick the car that is right for you! Pumpkin Fine Cars is available over the phone at 609-646-7676 and via email at [email protected]. Please "Like" Franck Freon and Pumpkin Cars on Facebook, follow Franck and PumpkinCars on Twitter, subscribe to the Pumpkin Cars Channel on YouTube and if you enjoy what you are reading, please subscribe to our blog! Pumpkin Fine Cars & Exotics Car Of The Day...a 2006 BMW 530i, 4-Door Sedan. This GREAT LOOKING pre-owned 530i is as CLEAN & PRISTINE as they come! With TONS OF LUXURY FEATURES, Plenty of COMFORT & SPACE and one of the MOST RELIABLE products on the road today...what's not to love about this 5-Series BMW?!?! With just over 67k original miles and a PERFECT TITLE HISTORY you can own this BEAUTY now for ONLY $22,995.00. As with all of Pumpkin's pre-owned vehicles, this 5-Series has been FULLY SERVICED and PUMPKIN CERTIFIED! Owner and Professional Race Car Driver, Franck Freon hand picks all of our vehicles and makes sure that they are at the top of their game before bringing them back to our showroom. This pre-owned, Graphite Metallic 530i with it's light Gray LEATHER INTERIOR & WOOD TRIM comes with a PREMIUM PACKAGE which includes an AM/FM/WB Stereo System with a CD Player & a 6-Disc CD CHANGER. The 6 cylinder, 3.0 liter engine with Rear-Wheel Drive has the Steptronic Transmission. Power/HEATED Seats with MEMORY Positioning and LUMBAR SUPPORT Adjustment, HEATED STEERING Wheel and ALLOY wheels are just the tip of the iceberg when it comes to the luxury features this bad boy has to offer. COME IN TODAY for a FREE test drive or Contact us at (609)646-7676 for more information. We can be reached by email at [email protected] or you can visit us online at http://www.pumpkincars.com/ for a complete list of our pre-owned inventory as well as financing information and even a credit application can be submitted all online. We thank you for visiting our blog and we look forward to earning your business. To view recent testimonials from satisfied Pumpkin customers, log onto our website and click on the 'Testimonial' section. Pumpkin Fine Cars car of the day....a 2006 BMW 325i. This stylish luxury sedan is an example of German engineering at it's best. It is Metallic Silver with a lush Gray leather interior, classic BMW colors. This car comes to us with only 38K miles and it is in phenomenal shape. It has all of the performance you have come to expect from a BMW 3 series and the style to match. You will definitely turn heads as you zoom by all your friends and neighbors because the way this car looks and performs, they will think you have a brand new Beamer! The 325i also has plenty of options and upgrades typical for a high performance machine that it is. It has the Premium Package with Power/Heated Seats that includes Memory Positions and the lower Lumbar Support adjustment. Not to mention power folding mirrors, a CD Player and Alloy Wheels. If you enjoy driving and enjoy the feel of the road beneath your tires, this is the car for you. Priced extremely reasonable at $19,995, this car was a $35,000 brand new. Also, Pumpkin, once again is thousands below book value for this car. We cannot get enough BMW 3 series with this newer body style because we cannot keep them in stock! Like all of our cars, this Beamer passed through our rigorous Pumpkin Certification process with flying colors! We check all safety related equipment including brakes, tires and alignment as well as oil, transmission and differential. This 325i is ready to roll and needs nothing put into it! All you have to do is test drive it. We won't even need a sales person to assist you because if you are a car lover like we are, this baby will sell itself. Do not wait too long if you have your eye on it, because rest assured you are not the only one that does, and this is the only car like we have at the moment. Swing by our unique indoor showroom and let our friendly, knowledgeable staff point you in the direction of this 325i and the car will do the rest! Take a free, no hassle test drive and you will be hooked. While you are here say Hi to Franck Freon and browse our stellar inventory, there is bound to be something for you! As always, we are available over the phone at 609-646-7676 and via email at [email protected] . Please "Like" Franck Freon and Pumpkin Fine Cars on Facebook, follow PumpkinCars on Twitter, subscribe to the Pumpkin Cars Channel on YouTube and if you like what you are reading please subscribe to our blog. Shopping for your first car can be an exciting yet stressful experience that we have all either been through or will go through at some point. At Pumpkin Fine Cars and Exotics we understand that buying your first car is a huge decision and we make that process as simple and clear as possible. Pumpkin Cars is a place you can come to shop and not feel pressured into buying something that you know really may not be the car for you. Our friendly, knowledgeable staff will let you take your time and browse, test drive a few cars and be there to answer all the questions you have either about the car itself, or the process of buying the car. We will work with you through the process of deciding to finance or buy the car outright depending on what is right course of action for you. No matter whether you want to finance or not, we have plenty of cars in inventory that are perfectly suited to be your first car. If you want sporty and stylish we have a 2000 Mercedes Benz C230 Kompressor Sport with 73 thousand miles and in great shape both cosmetically and mechanically. This car is priced right in the ballpark for a first time buyer at $9,995. All of your friends will definitely be jealous of this one, especially when you tell them you paid for it yourself! If you want safe and reliable we have a great 2002 Volvo S60 priced at $5,995. It has 126 thousand miles but is about as reliable as they come. When I think "Volvo" the first thing I think is safety. These cars have been widely known for years to be some of the safest cars on the road. If you are looking for a first car that has a stylish and timeless class about it, check out our 1993 Mercedes Benz 300SE. Priced right at $6,995, and with 113 thousand miles, this car will run another one hundred thousand if you treat it right! It has that classic Benz style, great options and features and when brand new it sold for $75,000!! All there of these cars were hand selected by Franck Freon specifically for first time buyers and have all gone through our Pumpkin Certification Program and are ready to hit the road. These cars are just a small sample of what we have to offer here at Pumpkin Fine Cars. If you would like your first car to be a 2006 Porsche 911 Carrera 4s with 16 thousand miles, priced at $59,995 we can accommodate you with that as well! Owner Franck Freon strives to have a wide variety of Pristine cars in stock so that we have something for everyone. As a matter of fact, we dare you to come browse our unique indoor showroom and not find a car in which you fall madly in love! We even double-dog dare you! Swing by and check out our inventory, we truly strive to keep something for everyone in stock. If you see something you like, we are pretty sure that you will, take it for a free no hassle test drive...then you will probably buy it, which is why we are here! As always we can be reached via the phone at 609-646-7676 and via email at [email protected] . Please "Like" Franck Freon and Pumpkin Fine Cars on Facebook, follow PumpkinCars on Twitter, subscribe to the Pumpkin Cars Channel on YouTube and if you like what you are reading please subscribe to our blog! From time to time we like to high light a few unique cars that we bring into inventory that transcend the definition of a "Pumpkin Car" . I know that most of you are thinking of some really rare make or model, expensive or exotic car but in this case you would be wrong! Yes, we do get our share of very rare or collector's cars, but I'm about to give you two examples of cars that we are really proud of that you can find almost no where else but Pumpkin Fine Cars and are both priced below $15,000! What makes or constitutes a Pumpkin Car is not necessarily the price or the brand, it is in the condition of the car both cosmetically and mechanically. Franck Freon goes above and beyond what normal wholesale car buyers will do to hand pick the best of the best, regardless of how old the car is or how common of a model it may be. First we present to you a 1999 Mercedes Benz E320. This car is that classic Mercedes Silver with a lush gray leather interior. Now, you may be thinking, "OK, a 1999 E320 is a dime a dozen...big deal". The thing that makes this E320 the quintessential Pumpkin Fine Car is the fact that it only has 25 thousand original miles, had one owner and was garage kept. This car looks and feels like brand new, and passed through our very rigorous Pumpkin Certification Process with flying colors. The best part is, because Franck is so adept at finding and buying cars like this, you, our customer get to purchase this car for the very reasonable price of $14,495. Please keep in mind that this car when brand new, in 1999, was likely sold in the neighborhood of $50,000 and now just 25 thousand miles later, you can own it for a fraction of the original cost. No where, I repeat, no where can you find another car like this. You are more than welcome to come see it in person if you don't believe it. If you are just discovering Pumpkin Fine Cars I don't blame you. Our good customers and friends, however, know just by reading this that the car is top notch. Another top notch car we currently have in stock, that you most likely will not find very common is a 1999 Mercedes Benz ML320. This is an SUV that is consistently rated at the top of it's class and is always in very high demand. This particular ML320 is Silver with a gray interior, has had only ONE OWNER, has 111 thousand miles and is priced way below book value at $7,995. Again, this car was hand picked by Franck Freon and is perfect for someone that knows what a great SUV the ML320 is, as well as what a great value this one is at under $8,000. This truck when brand new was likely bought for around $45,000!! It has privacy glass, power and heated seats, a roof rack, running boards and all the luxury and style that Mercedes Benz has been known to produce for decades. These are just two examples of over 30 Pumpkin Cars currently in stock. It would be our pleasure to have you stop into our unique indoor showroom and take a look! Feel free to just browse our inventory or take any one or more of our Pristine cars out for a free, no-hassle test drive. As always we are available over the phone at 609-646-7676 and via email at [email protected] . Please "Like" Franck Freon and Pumpkin Cars on Facebook, follow PumpkinCars on Twitter, subscribe to the Pumpkin Cars Channel on YouTube and if you like what you are reading please subscribe to our blog. Pumpkin Fine Cars & Exotics' Car Of The Day...a 2000 Mercedes Benz E430, 4-Door Sedan. JUST IN...this pre-owned Black Beauty is a PRISTINE DREAM! Equipped with a V8, 4.3 liter engine, 4matic transmission and only 68,489 original miles. A PERFECT TITLE HISTORY, FULLY SERVICED and PUMPKIN CERTIFIED, this pre-owned E-Class is ready to hit the road with a brand new owner behind the wheel. Mercedes Benz is known for packing in DEPENDABILITY, COMFORT and SAFETY into all their vehicles. This mid-sized sedan is a classic example of the SUPERIOR CRAFTSMANSHIP of the Benz LUXURY line of sedans. This pre-owned E430 is both SPORTY & SLEEK with it's Black exterior on TAN LEATHER interior and WOOD TRIMMING. Features include Power/HEATED SEATS with MEMORY POSITIONING, a BOSE PREMIUM SOUND SYSTEM with an AM/FM/WB Stereo & a 6-Disc CD CHANGER. ALLOY WHEELS, Auto-Dim Rear View Mirrors and fully powered options including a POWER MOON ROOF are just a few of the standard features found in any Mercedes Benz. Stop by our UNIQUE INDOOR SHOWROOM today for a FREE, NO-HASSLE test drive! We take trade-ins of all kinds so bring in your vehicle and we will give you an on-the-spot appraisal. CONTACT US at (609)646-7676 or by email at [email protected] to schedule an appointment. For more information & photos of this vehicle or to view other pre-owned vehicles currently in-stock, visit us on the web at http://www.pumpkincars.com/. You can find a great deal of information about Pumpkin Fine Cars & Exotics ranging from our most up-to-date inventory listing to financing & warranty packages customized for every buyer. Stop by and meet Franck Freon and find out what all the buzz is about! Join the growing number of smart Pumpkin cars owners on the road today! Pumpkin Fine Cars & Exotic's Car Of The Day...a 2004 Acura TSX, 4-Door Sedan. SPORTY & FUN, this pre-owned BLACK on BLACK BEAUTY will give you one ENJOYABLE RIDE! Packed with lots of extras, SPACE & COMFORT, this vehicle is perfect for anyone looking for a little class and dependability. Acura's are known for their SUPERIOR CRAFTSMANSHIP and they will last for a long time. This 4 cylinder, 2.4 liter engine with an automatic transmission and front wheel drive is also quite economical. 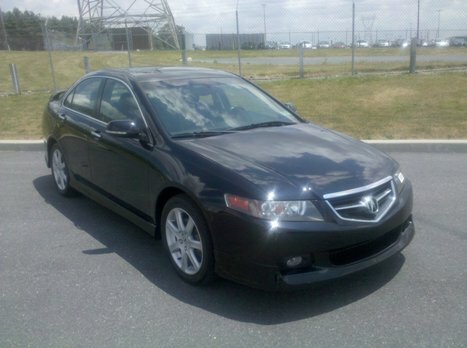 This pre-owned TSX is selling for ONLY $13,995 and has just over 75k original miles. Complete with a SPORT PACKAGE, this GREAT LOOKING VEHICLE RUNS LIKE A CHAMP and features TONS OF EXTRAS! A NAVIGATION SYSTEM, Power/HEATED SEATS, 6-Disc CD CHANGER and ALLOY WHEELS are just to name a few! Full power options and a POWER MOONROOF add a nice little touch. 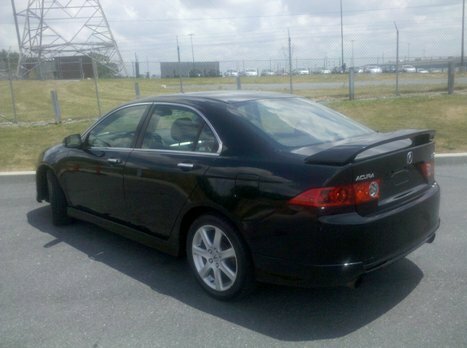 Originally a Pennsylvania car and with only 2 original owners this TSX comes with a CLEAN & PERFECT TITLE HISTORY! As with all of Pumpkin's Fine Cars, this pre-owned Acura has been FULLY SERVICED and PUMPKIN CERTIFIED! Come in for a FREE test drive today! Contact us at (609)646-7676 or by email at [email protected]. For more information on this vehicle or to view a complete listing of our pre-owned vehicles currently in-stock, log onto our website at http://www.pumpkincars.com/. Thank you for visiting our blog. We look forward to meeting you soon! A 2006 BMW 325i is Pumpkin's Fine Car of the Day. This car is the ultimate combination of style and performance. It has a sleek and seductive Graphite exterior with a Black leather interior. With only 37k miles, this baby will run forever. This beamer with the newer body style is loaded with options as well. This is a BMW we wouldn't prefer to be hidden in the garage. Its lines are clean and aggressive, but less over the top than other cars in it's class. The cabin strikes a similar balance of subtle style tempered with a familiar feel. The controls are simple and straightforward for those than are not technologically inclined. It has a premium package with power/heated seats with memory positions, auto dim and power mirrors, alloy wheels a CD player, moon roof and power everything. It has only had one owner, who likely paid upwards of $35,000 to buy it brand new, while you have the advantage of buying it while still in pristine condition for the very reasonable price of $19,995. This car looks and performs like it is brand new. Everyone knows that performance is what the BMW brand prides itself on and one ride in this stylish 3 series and you will be hooked! Not only is this car in absolute mint condition but it was hand picked by Pumpkin's owner Franck Freon. Although it arrived to us in great condition, we still have to put it through our rigorous Pumpkin Certification Process. We have an ASE certified mechanic check the brakes, tires, oil, fluids, transmission, alignment, differential and much much more. Anything the car needs to get into prime driving condition we have done. In this particular case there was not a whole lot that this car needed, just an owner that enjoys driving, likes to feel the road beneath him or her and appreciates the engineering that makes BMW the "Ultimate Driving Machine". If this is the car for you, and we know it is, we recommend swinging by our unique indoor showroom to take it for a free, no-hassle test drive. With the low mileage and sharp color combination we are not going to get to attached to this car, it will not be here for too long. We Pumpkin Fine Cars invite you to come see what we are all about, you will see and feel the difference between the way we present our vehicles and the way the other guys do. We provide an relaxed atmosphere, with up front and honest pricing, and a friendly and very knowledgeable staff. We look forward to seeing you at the showroom. As always we are available over the phone at 609-646-7676 or via email at [email protected] . Please "Like" Franck Freon and Pumpkin Cars on Facebook, follow PumpkinCars on Twitter, watch the Pumpkin Cars channel on YouTube and if you like what you are reading, please subscribe to our blog! Pumpkin Fine Cars & Exotics' Car Of The Day...a 2002 Volvo S60, 2.4T, 4Dr. Sedan. If you are looking for an AFFORDABLE vehicle that's RELIABLE and DEPENDABLE...then this pre-owned Volvo may be just for you! JUST IN on trade...this S60 has a 5 cylinder, 2.4 liter engine with automatic transmission and just over 126k original miles... but don't let that fool you. It runs like a champ and is in GREAT CONDITION. With a PERFECT TITLE HISTORY and selling for UNDER $7,000, you can't beat this deal anywhere around! TONS OF FEATURES and the MOST COMFORTABLE RIDE one can have, Volvos are known for their style and grace as well as for their comfort. A great combination of luxury & elegance with sleek and sporty appeal. The glossy Blue exterior is beautifully complimented by Tan LEATHER INTERIOR! Features include Power/ HEATED SEATS with MEMORY Positioning, AM/FM/WB Stereo with CD Player, Power Moon Roof and full power options, ALLOY WHEELS and more! To view more potos, click here. For more information or to schedule that test drive, CONTACT US at (609)646-7676 or by email at [email protected]. As with all of our pre-owned vehicles, this Volvo S60 has been FULLY SERVICED and PUMPKIN CERTIFIED. We have financing available, for those who qualify and extended service plans to fit the needs and budgets of every buyer. Log onto our website at http://www.pumpkincars.com/ and learn why more and more buyers are turning to Franck Freon & Pumpkin Fine Cars & Exotics for GREAT QUALITY, PRE-OWNED VEHICLES AT AFFORDBALE PRICES! See you in our showroom! As always, we at Pumpkin Fine Cars and Exotics want to make sure our friends and customers stay updated on car performance and car care related issues. One such issue that we are sure is at the top of the list for most of you is how to prevent car problems during sweltering hot days such as those we are currently experiencing. Based on our research there are a few key issues to be aware of in relation to extraordinary heat. 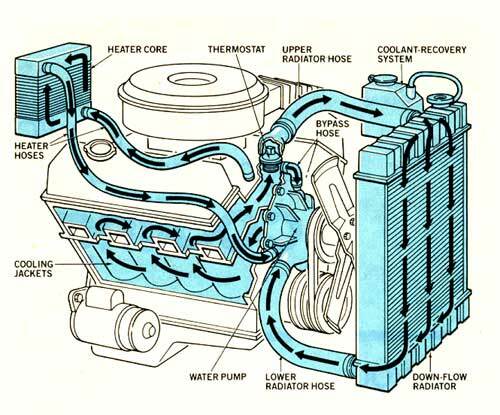 The first and most important is keeping your cooling system functioning properly to avoid overheating your engine. The cooling system removes heat from the engine and automatic transmission and dissipates the heat to the air outside. The water pump circulates coolant through the engine. As the coolant absorbs the heat, it is then carried into the radiator where the heat is dissipated. Finally the thermostat regulates engine temperature to keep it consistent for efficient engine operation. As we all know, an overheated engine can cause multiple problems that can cost a lot of money to have fixed. Check your coolant levels each fall and spring and make sure that if you have used water to to fill your radiator, flush it out and use coolant. Coolant contains additives that prevent corrosion of parts and hoses. This is the single most important step in keep your engine cool during these hot summer months. Some signs to look for that may indicate problems with the cooling system are leaks, frequently having to add fluids, and a sweet smell under the hood. If you suspect you have a problem with your car's cooling system you should take it to your local mechanic and have it checked out immediately. Problems like that do not correct themselves and preventative maintenance can save you thousands of dollars in repairs down the road. A few other less critical issues to be aware of include air conditioner problems. No one wants to have their air conditioner break down during the hottest months of the year. Make sure you leave you air conditioner set to circulate as opposed to only air intake. With air only blowing into the car it forces the system to work extra hard to cool the hot air coming in. Also, keep an eye on your car battery. 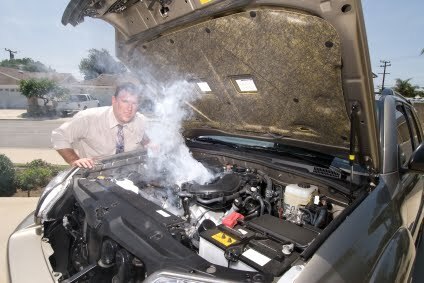 Most technicians agree that extreme heat is much worse for the durability and life of a car battery than extreme cold. Finally, a simple step such as buying a sun visor for your windshield, or if you are lucky enough to own a Pumpkin Fine Car that has a power sun shield, can make the interior temperature of your car bearable and increase the life of the interior and plastics. Basically, the single most important thing we can recommend is to keep up with the regular service and maintenance on your car and most likely you will not have to deal with any of these issues because your mechanic should be able to stay a step or two ahead of a major problem regardless of the weather. At Pumpkin Fine Cars, owner Franck Freon goes to great lengths to check out and service each car that he handpicks for our inventory to make sure that the A/C blows ice cold and that there are no mechanical issues with the car, especially with the cooling system. That is all part of our rigorous Pumpkin Certification Process. For more information on caring for you car in extreme weather please visit the national Car Care Council at http://www.carcare.org/ . As always, we invite you to visit our unique indoor showroom and take one or a few of our Pristine Pumpkin Cars out for a free, no hassle test drive. We are available over the phone at 609-646-7676 and via email at [email protected]. Please become a Fan of Franck Freon and Pumpkin Cars of Facebook, follow PumpkinCars on Twitter, watch us on YouTube and if you like what you are reading, subscribe to our blog!